The European Solidarity Corps is a new EU initiative which creates opportunities for young people to contribute to projects that benefit communities and people around Europe. Organisations can apply for funds to host the volunteers. It accompanies the EU Aid Volunteers platform, but with a specific focus on youth: The European Solidarity Corps is only open to people between 18 and 30 years of age. Moreover, the Corps offers both volunteer and paid positions including internships and jobs. At the moment, the system is in place with an ad hoc funding, drawing money from many European funds and programmes. The biggest part of its budget comes from Erasmus+. In 2018, the European Commission presented a proposal for a regulation governing the European Solidarity Corps and their funding. In line with the next Multiannual Financial Framework 2021-2027, the budget for the Corps is set at 1,26 billion euros. What kind of activities does the Corps offer? Volunteering activities: Young people are given the opportunity to participate in the daily work of the respective organisation. These activities usually last between 2 and 12 months. Participants will receive training before and during their assignment and can participate both on their own or in groups from different participating countries. Traineeships and jobs are full-time experiences, paid for by the organisation offering the position, taking place in the participant’s country of residence or abroad. Trainees and workers develop their personal, educational, social and professional skills. They usually last between 2 and 6 months. Travel costs to and from the project venue are covered. Participants receive medical insurance coverage for the whole duration of the activity, online linguistic support, general and activity-specific training, mentoring, and a certificate from the European Solidarity Corps. Additional expenses for young people with fewer opportunities may be covered. Participants receive medical insurance coverage for the whole duration of the activity, online linguistic support, general and activity-specific training, mentoring, a certificate from the European Solidarity Corps and post-placement support. Additional expenses for young people with fewer opportunities may be covered. Solidarity projects are initiated, developed and implemented by motivated young people who want to make a positive change in their local community. Projects should be specifically targeted to and carried out at the local level (neighbourhood, municipality) and receive funding to start and run the project. Participants receive funding to start and run the project (max. 500 euros/month), online linguistic support, general and activity-specific training, and a certificate from the European Solidarity Corps. Additional expenses for young people with fewer opportunities may be covered. Participants can ask for specific training and guidance to their Erasmus+ National Agency. The European Solidarity Corps is open to all people aged 18 to 30 residing in EU member states or other neighbouring countries (more info in the Corps’ FAQ). To participate in the activities, applicants must register on the website of the Corps (information on how to register on the Corps homepage and FAQ section). They can then browse all proposed activities and apply directly, or may also be contacted by an organisation. For solidarity projects, the procedure is slightly different. The minimum number of applicants is 4, and all of them must be registered on the Corps’ website. They develop a project together and apply for funding within set deadlines. In case of successful application, they can receive up to 500 euros per month to support the project. More information and deadlines (changing on a yearly basis) can be found here. Organisations from EU Member States can offer all kind of activities. Organisations from neighbouring countries can participate as partners in volunteering activities but cannot offer traineeships and jobs. The list of partner countries and relevant deadlines (changing on a yearly basis) can be found here. Organisations are required to cover the costs of salaries for jobs and traineeships, as well as any other expense provided for by the contract they offer. Costs for participants of volunteering activities are entirely covered through the Solidarity Corps funding. Organisations from EU member states can apply for a Quality Label to their Erasmus+ National Agency, the body managing and monitoring EU programmes in that country. Organisations from non-EU countries should refer to their Support, Advanced Learning and Training Opportunities for Youth (SALTO) Resource Centre. More information can be found here. To take part in the European Solidarity Corps, all organisations should obtain a so-called Quality Label ensuring compliance with the principles and objectives of the Corps. The Quality Label is necessary to offer activities through the EU Solidarity Corps but does not lead directly to funding for these activities, for which there should be a specific funding application. For this reason, we call on the relevant institutions to take action to promote the inclusion of people with disabilities in education and employment. This is in line with principles 1 and 3 of the European Pillar￼ regarding inclusive education and equal treatment for everybody. Inclusion Europe’s topic of the year 2020 is Educate, and in 2021 Employ. (learn more about our priorities here), focused on adequate support for people with intellectual disabilities in the transition to the labour market, and better employment chances. It is known that people with disabilities face many barriers in accessing education, as demonstrated by the high drop out rates and the low rates of people having obtained a university degree. This, in turn, negatively affects their chances of accessing the labour market, leading to additional barriers and exclusion: It leads to many young people with disabilities not being in education, employment or training (NEETs). For this reason, it is crucial to effectively support people with disabilities through inclusive education and other initiatives that might lead to a smoother transition towards employment. A project Inclusion Europe is currently taking part in is ICLife, aimed at universities more inclusive for all students with disabilities. More information on ICLife can be found here, and on the importance of inclusive education for students with complex support needs here. 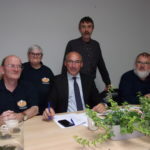 It is known that people with disabilities still struggle in taking part in other programmes aimed at young people, such as the Erasmus+ programme. People with disabilities represent 4,6% of the population age 25-34 with a university degree (EUROSTAT, 2011). However, the Erasmus+ report mentions that only 0,15% of people with disabilities received extra funding in the year 2013/14, representing 401 participants with disabilities on a total of over 270.000 Erasmus+ participants. The European Commission published recommendations to several bodies participating in the Erasmus+ programme on the inclusion of people with disabilities. 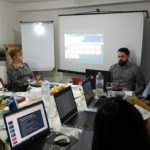 Many organisations carried out research on the topic and developed projects to support the participation of people with special needs (for instance, ExchangeAbility by the Erasmus Students Network). Also, young people with disabilities are encouraged to join the Solidarity Corps, and specific support measures are provided for them. Persons with disabilities joining the Corps are eligible for additional resources to take part in activities the Corps offers. Moreover, the Corps provides for activities that are adapted to ease the inclusion of people with disabilities, as well as extra support during training and the activity itself. After two years, the European Solidarity Corps has attracted more than 93,000 young people who have expressed their interest to help in solidarity action across Europe. More than 10,000 people have already started their activities in projects dealing with various topics such as environment, culture, social services, helping refugees, migrants, people with disabilities, children or the elderly. The European Solidarity Corps website was launched in December 2016, with the objective to get 100,000 young people signed up to the Corps by 2020.